Moving to Latvia? Need a dedicated van, container service, or part load removal to Latvia? Then help is 1 click away. Specialising in removals to Latvia, we can offer you all of the above and more. Please call or email and we will offer you a free quotation and advise about moving to Latvia, or from Latvia to any European destination. Having 20 years experience relocating people to and from Latvia you can be sure of the best quality removal service, at the lowest cost. If you are searching for a company who can provide you with a stress-free removals service across Europe, look no further than European Removal Services. As a company we have unmatched experience across the removals field, and we have helped a vast number of families and business relocate across Europe, including to and from Latvia. Our team of experts are committed to their roles Âthey are loyal, and reliable and they are on hand to help you throughout the entire removals process. At European Removal Services we believe in providing our customers with a personal service, built on the foundations of trust. Our services are backed at every single level by experienced, professional and friendly personnel who are fully qualified and informative. Our passionate team believe that, by working closely with you, the overall service you receive will offer high standards, and will also be effective and hassle-free. For over two decades we have provided our customers with an effective means for relocating across Europe, and we understand relocating can be a stressful time. Taking this into account we will put everything in place for you, to ensure you are relaxed and ready to move. We work with businesses looking to relocate premises, or families looking to up-sticks and move to or from Latvia, and we understand each service is different, so we have the means to fully adapt our services. 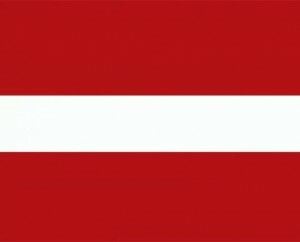 When it comes to removals to Latvia, and from Latvia, we offer a number of services including designated services whereby we will provide you with a vehicle in less than 48 hours, and we will then provide you with next day delivery , if your relocation spot is within 750 of your current location. We also offer part-load services whereby we will share one vehicle, between one or more clients, and this service is convenient for those who do not have moves dates set just yet. Our baggage service allows clients who are not looking to move a whole host of possessions, to relocate a few bags or boxes, and our team can pack your small quantity of goods upon request. Finally our customer is clearance service has been put in place so that everything runs smoothly, and we will complete customs work and necessary forms for you.